Welcome to our Sunday Announcements page. Stay in touch with news and events from Divine Infant Parish. Welcome to Divine Infant Parish. Today we celebrate the The Resurrection of Our Lord. We warmly welcome any visitors to our Parish and ask you to please sign our guest book in the foyer. If you have difficulty hearing, please tune your radio or iPod to FM 98.5 to listen directly from our amplifier. Please be aware that Easter Monday is a holiday and Mass will be at 9:00am. There is no evening Mass on that day. On Divine Mercy Sunday, April 28th, there will be a special Divine Mercy Devotion including exposition of the Blessed Sacrament at 3:00pm with confessions starting at 2:00pm and a reception following. For more details of these and other announcements please see this week's parish bulletin. 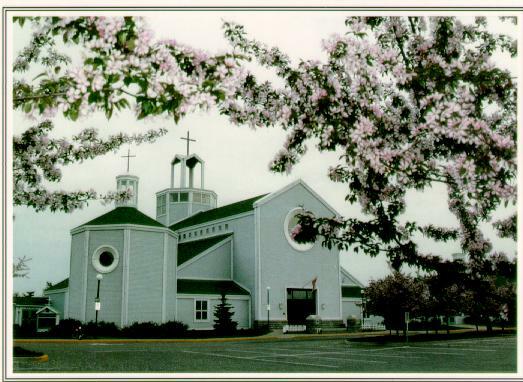 Do you have any ideas that might improve the services provided by the Divine Infant Parish? Do you have any questions you would like to direct to one(or both) of our priests? If you do, just drop us an email and we will ensure that your concerns are directed to the proper authority.